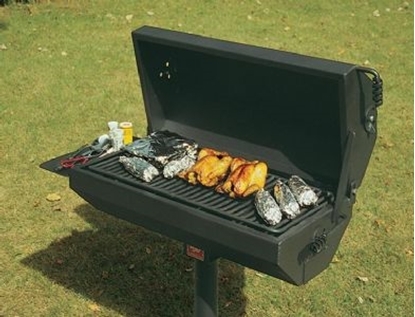 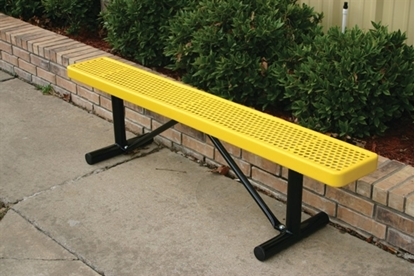 Rectangular 6 foot Thermoplastic Steel Picnic Table, Regal Style Seats 6 Adults, 217 lbs. This Regal style 6 foot rectangular picnic table is made with thermoplastic coated 3/4" expanded metal and two 2 3/8" galvanized steel powder coated legs. 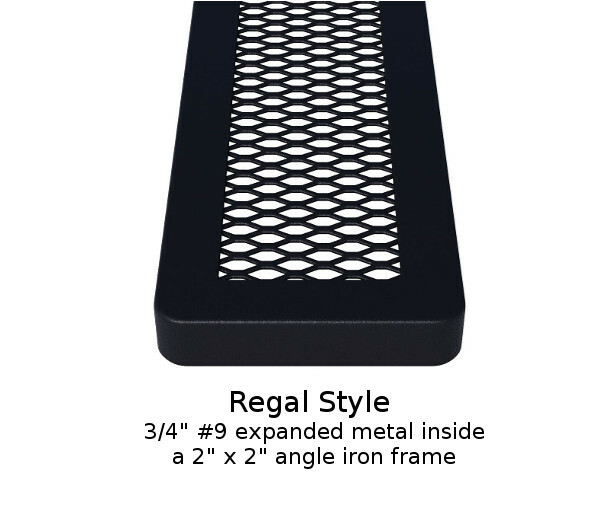 The corners are rounded for style and comfort with extra bracing underneath for years of heavy-duty service. 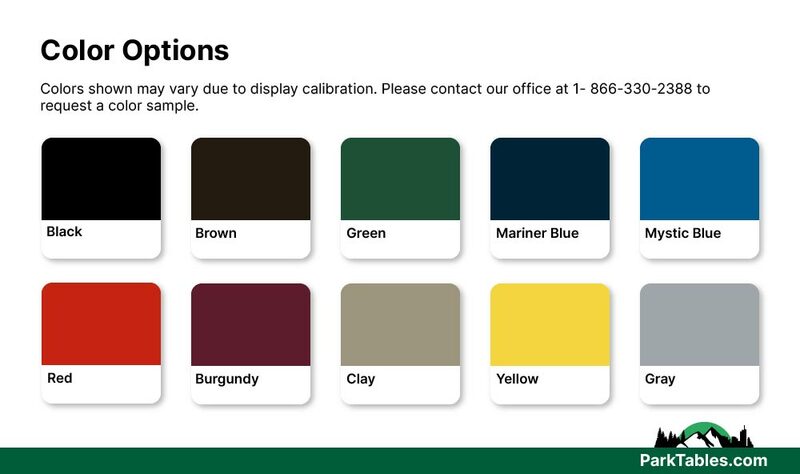 Choose a variety of colors to match your school or company colors. 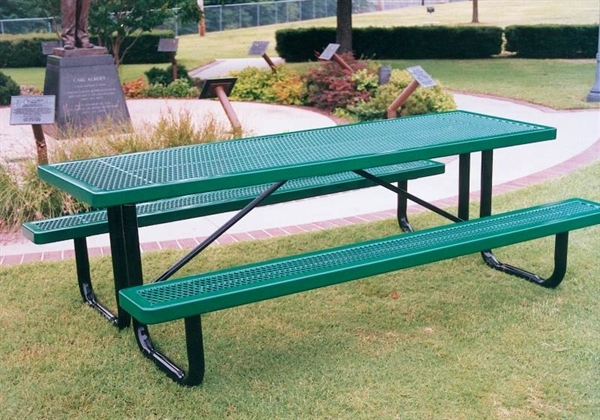 Rectangular picnic tables are great picnic tables for group gatherings for corporate outdoor meetings, company BBQs, or school events.